Last weekend, the North American and European Crucibles lived up to their names as the teams battled it out under the lights of the stage. We all know the four premier teams that went into the gauntlet: the two that remain, No Tomorrow and Roll20 esports, and the two that fell, Monkey Menagerie and Simplicity. But what about the Open Division teams? Who’s going to be taking a spot in the 2019 HGC? Take a seat as we introduce you to the newcomers. The first match of the European Crucible was the #7 seed, Monkey Menagerie, versus the Open Division finalist, ePunks. Though losing the OD playoffs finals, the ePunks run has been their most successful ever. They managed to win six out of the seven cups and become the first team ever to reach 800 points. And unlike some teams that have been hyped up in the past, they didn’t fail to live up to the expectations; Monkey Menagerie was left on the wrong end of a devastating 4-0.
ePunks is a European squad founded in 2015 with presence in Starcraft II, Hearthstone, Quake, and Heroes of the Storm. This isn’t their first foray into Heroes either: in 2016, they acquired a German roster that later would qualify for HGC as Diamond Skin, now Granit Gaming. After that first contact, they stayed out of the game for more than a year until early 2018, when they announced their roster for Phase 1 Open Division. It was a project that combined former HGC players with OD veterans led by head coach Sarly. 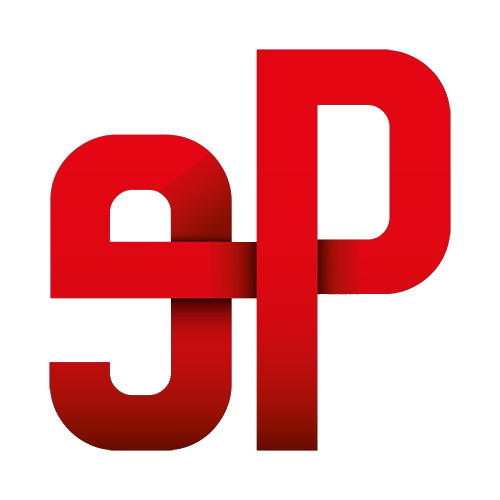 That roster made it to playoffs before falling to Granit Gaming, but ePunks decided to keep the project running for Phase 2. In the first Phase 2 cup, a team called vatermeloons swept everyone away with relative ease. Two days after that cup, ePunks announced the acquisition of that roster, renamed to ePunks BLACK. After several months, the organization released their initial squad, but Sarly remained as the coach for BLACK. Lauber: The Swedish tank played for Leftovers for more than a year before being replaced by Mopsio. This was his third Crucible, and he has won all of them. In the fourth game of the Crucible he showed a mighty Tyrael that got him and his team into HGC. Cas: The least known of the ePunks, Cas is an Austrian player who has competed in the Open Division for a while. Though not having the same successful past as his teammates, he has stood up and shown a great consistency through this Open Division. SonicLeBeast: Sonic impressed many of us when he subbed for Fnatic in the Phase 1 Western Clash. However, in Phase 1, after making it to the Crucible with the team Worst Positioning, he lost to Diamond Skin. Roskmeg: Roskmeg is another HGC misfit and another Crucible survivor. In fact, he was the one to defeat Sonic’s team last Phase. Just like Lauber, despite winning the Crucible he was left out of his team, Diamond Skin. Unfortunately, we won’t see the Norwegian ranged player next year as he has already announced his retirement. GranPkt: The most veteran player of the team and support legend from the classic Liquid squad, GranPkt spent a year playing for Zealots before moving to Tricked Esport for the 2018 Phase 1. Though avoiding the Crucible, he parted ways with Tricked, later Monkey Menagerie. Now with a win over his former team under his belt, he’s back and looking for more. In 2017, a dominant Open Division team was sponsored and shot to the top of the North American leaderboards: HeroesHearth. In 2018, a dominant Open Division team also picked up a sponsor, Scythe Esports. Will they be able to repeat the story? Only time will tell. 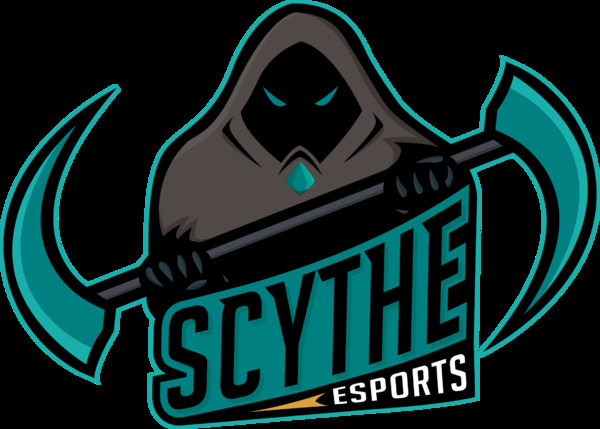 Scythe Esports is a young organization who entered the esports scene in 2017 through Starcraft II as Dankshrine, renaming to Scythe in 2018. Later, they acquired their Heroes of the Storm roster and a Hearthstone player. Their Open Division run has been one of the best we have ever witnessed. They only lost two series in the whole OD, being only 30 points away from the ePunks record and scoring the second highest mark ever. Their match against Simplicity was a difficult one. Simplicity is one of the most experienced teams in the whole scene, including players from the exhibition match from very first BlizzCon in 2014. Scythe Esports is completely the opposite: only one HGC veteran, but tons of raw talent that drew the attention of HGC teams as a sub hub. After a tied start, with both teams scoring some maps, Scythe Esports took the momentum forward and earned themselves a decisive 4-2 victory to secure their HGC spot. ZaneHyde: Zane is some of that new blood North America has been waiting for. His first competitive games were during the Phase 1 OD with former HGC team Even in Death. In Phase 1, he barely missed the Crucible, but now the tank player has made it to the Crucible and further. Zergling: Another rookie, Zergling made it to last season's Crucible with King’s Gambit but lost to No Tomorrow after a nailbiting series. In this Open Division he has shown a diverse hero pool both in and out of his offlane role, diving into picks like Jaina, Abathur and Medivh. Nessper: An experienced player who has always been left out of the HGC, Nessper said the start of the season that he was going to win the Crucible, and he did exactly that. He shared a team with ZaneHyde in Phase 1, Even in Death, and they took that synergy to Scythe, beginning their Phase 2 project with a solid base. TalkingTrees: After a whole year of HGC with No Tomorrow and Spacestation Gaming, the veteran left the scene for a year. He tried to make it back during Phase 1 with XD, but was beaten by LFM Esports in the Crucible. Nintorii: Nintorii is the rookie support of the team. He was with TalkingTrees during his first competitive ride when XD fell last Phase, and now he’s now on HGC and hungry for more, aiming for Western Clash and whatever comes next. Two Open Division teams didn’t make it to HGC, but they played really well too. In fact, the margin by which the Open Division teams lost was quite small this time around, with PSISTORM Gaming playing a close 4-2 against No Tomorrow and Holy Bananas playing an insanely close series with Roll20 that came down to the absolute wire in Game 7. Premier teams can’t be overconfident in the Crucible anymore or they'll be taken out. This influx of new talent and high level teams in the Open Division is providing the Premier Division with a constant supply of new competition. With many HGC players retiring soon, we’ll probably see some players from these teams in HGC next year. 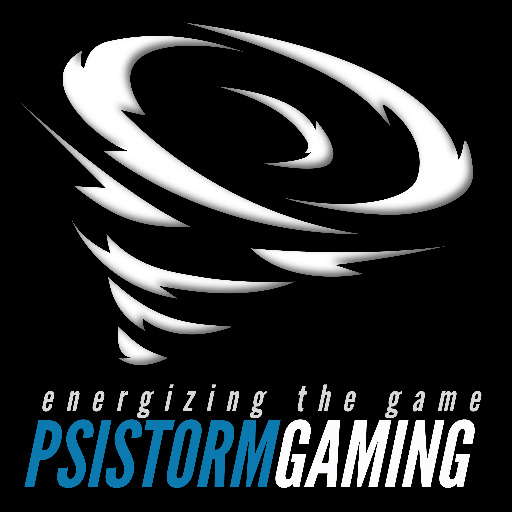 The story of PSISTORM Gaming is one of the best narratives we have in the Heroes of the Storm competitive scene. After 2017 finals, three players from DeadlyKittens, the Singaporean team representing Southeast Asia, decided that they wanted more. Their region wasn’t big enough for them. Similar to minor region immigrants Jschritte, Arcaner and robadobah, they set their eyes on the major regions. However, their journey wasn’t easy. Visa issues delayed the project and forced them to play in SEA for Phase 1. Once they arrived in North America, the rough path continued after being unable to play in the first three cups of Open Division and getting bad results in the fourth and fifth. But they didn’t lose hope and kept playing and improving before barely edging into playoffs by the skin of their teeth and fighting their way into a Crucible spot through sheer will. When Crucible came, they won the first two games, but finally No Tomorrow stopped them in their tracks. This time they couldn’t get into HGC, but wherever they play next year, in SEA or the North American OD, they will be for sure a team to watch. Good luck Enavir, nsj, Stronger, Hyskoa and ElhayM. 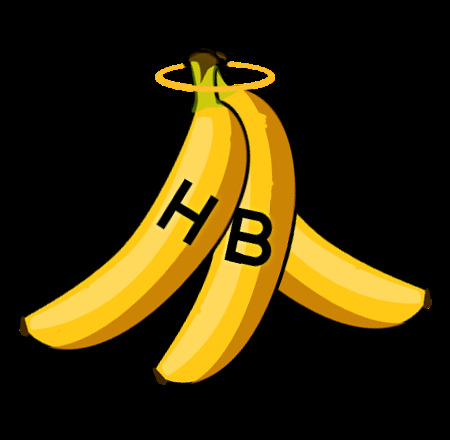 Holy Bananas was the only Open Division team in the Crucible without an organization behind them. Formerly known as TimeToShine, this team joined the European division on its third cup. Trying out different players, they locked their final roster in the sixth cup: Earth, Olf, Googoosh, GURU and RzuF. They were the only ones to take a cup from ePunks, but a discreet top-16 on the last cup moved them away from some people’s radar. In playoffs, after losing 3-0 in the winners bracket against ePunks, they came back and didn’t drop a single map in the grand finals. As Open Division champions, they could choose their rival, and their decision surprised many people. They chose Roll20, the last team of HGC, but according to the results, not the worst team of recent times. The explanation behind their decision was that while Roll20 had been trying to give its best, Monkey Menagerie seemed to have room to improve. Also, they feared the unpredictable playstyle the monkeys could deploy. It seemed they had made the right choice when they started taking the first three games from Roll20. However, Cursed Hollow seemed to curse their chances, and after dropping a crucial 4th game Roll20 were able to reverse sweep them. All in all, the team’s performance was quite impressive, and some of their players will probably find an HGC team for the 2019 season.